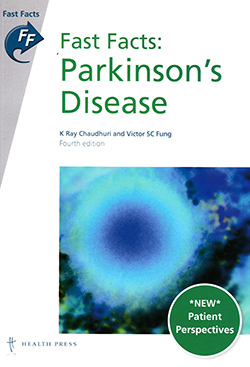 Although small, this book is easy to read, well-structured and contains a vast amount of information on Parkinson’s disease and its associated syndromes. Key points, diagrams and pictures bring the subject to life and the straightforward text makes it an accessible read. However, as with any medical textbook, much of the information will date quickly. The book provides a comprehensive exploration of the disease and its treatments and complications. The emphasis on quality of life and holistic care and the inclusion of patients’ perspectives make it an essential text for Parkinson’s specialist nurses or any nurse working with patients with the disease. The chapters on the patient journey, diagnosis and other therapies and support will be useful for different nursing groups, including students.